Automaker Honda may soon announce that it will close its factory in the U.K. from 2022, the Financial Times reports. 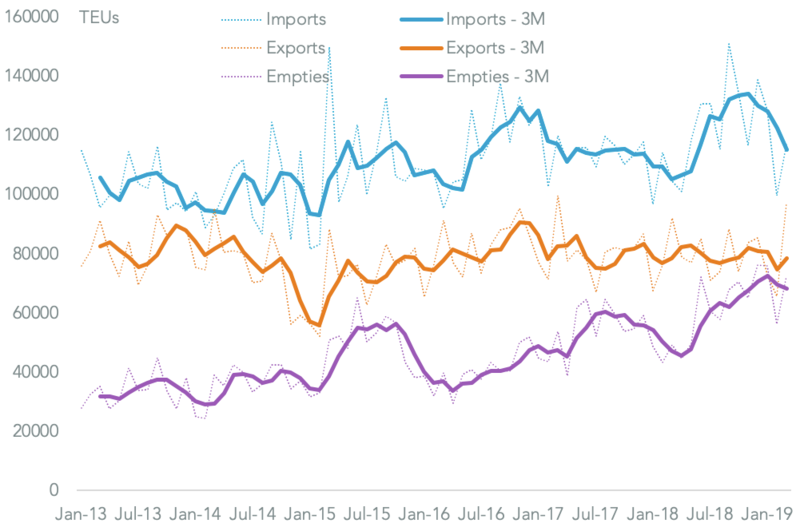 While it is tempting to blame the move on Brexit, the long time frame involved as well as the closure of operations in Turkey reflect a broader supply chain shift by the firm. 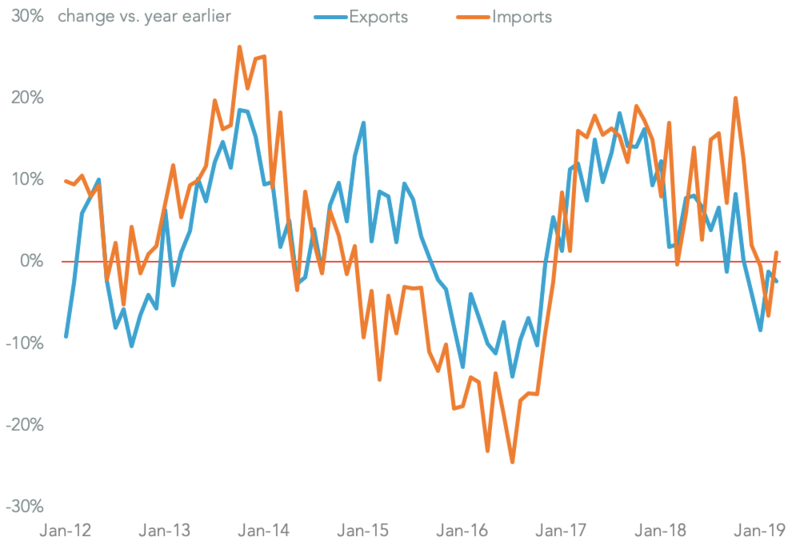 Indeed, its short-term reaction to Brexit is simply an earlier and extended annual maintenance break as outlined in Panjiva research of Feb. 12. Rather the move is part of a strategy to centralize production of vehicles for the European market in Japan as a result of the passage of the EU-Japan Economic Partnership Agreement (EPA) that has now taken effect. Europe has been a relatively minor part of Honda’s production mix, accounting for just 3.0% of global production, or 161k vehicles, in 2018 according to company figures. 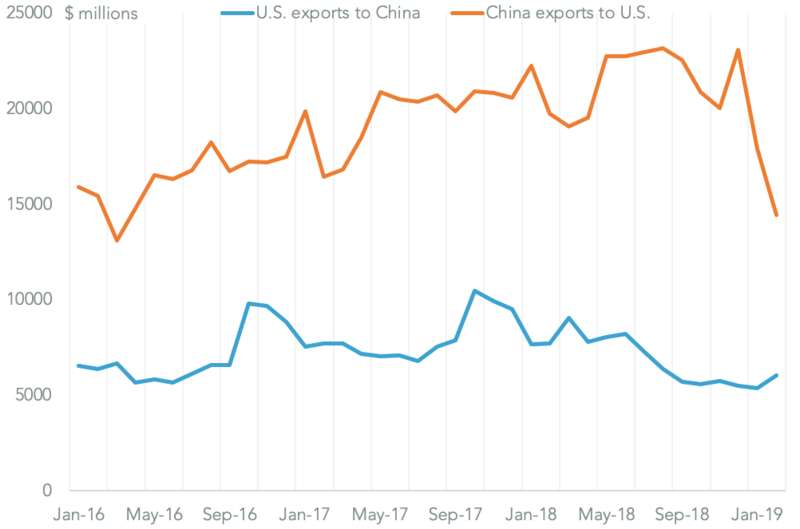 Assuming other automakers follow Honda’s lead, and assuming the tariff reductions make Japanese autos more competitive than others, then EPA should lead to an increase in bilateral trade in autos. 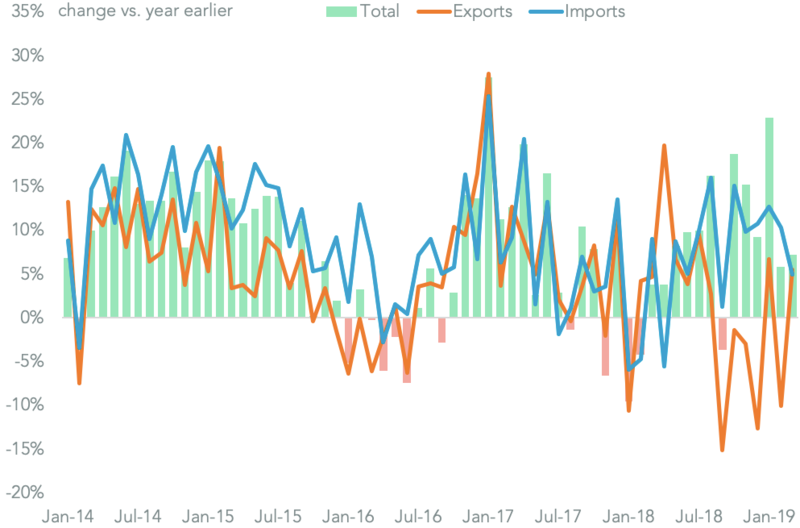 Panjiva analysis of official data shows bilateral trade in completed vehicles reached 18.43 billion euros ($20.82 billion) in 2018 after increase 3.0% year over year. 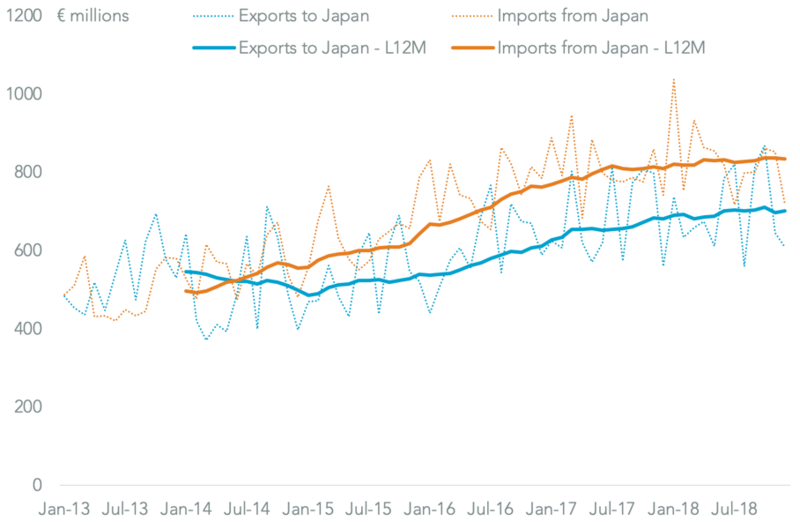 The trade was also broadly balanced with imports from Japan only outnumbering exports to Japan by 18.9%. Honda’s decision to centralize production may act as a cautionary tale for the United States government as it negotiates a free trade deal with Japan. Honda built 1.83 million vehicles in the U.S. in 2018 including light trucks and including vehicles for the Acura upscale brand. It’s less likely that Honda will undergo a wholesale withdrawal of production given the scale of the market and U.S.-specific models involved. Indeed, a shorter-term risk for Honda is that the section 232 automotive duties being considered by the U.S. government may be applied to Japanese exports despite the ongoing trade negotiations – though the Japanese government remains convinced they won’t according to Bloomberg. 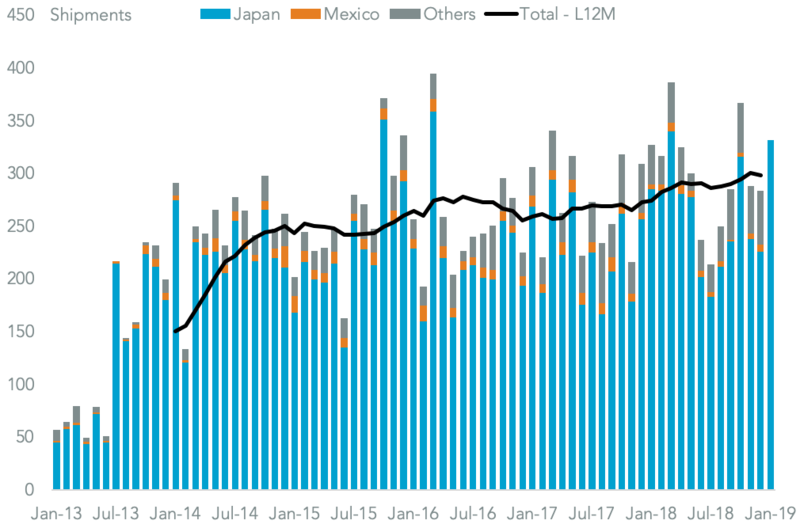 In the meantime Honda’s shipments of vehicles to the United States climbed 9.4% in 2018 compared to 2017, Panjiva data including land-based shipments from Mexico shows. That’s actually accelerated to 11.4% in the fourth quarter despite the slowdown in U.S. auto-sales seen more recently.